The Standard XL is built for adventure and designed for those who need a little more leg room than the Standard Buddy. 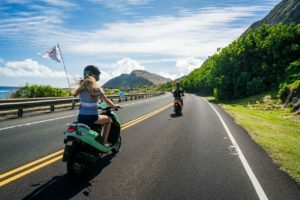 This is a great beginner bike for those who have less experience riding mopeds. 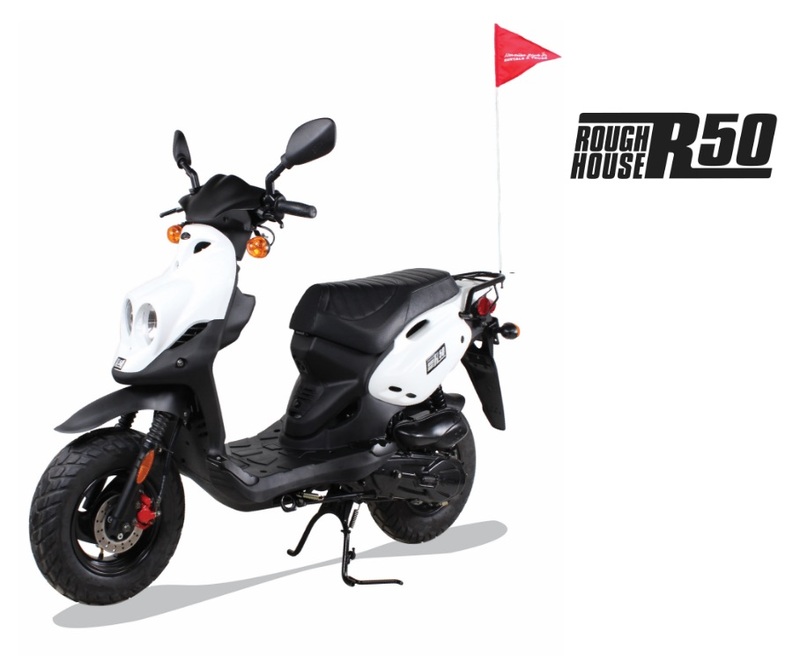 Take a spin on the Roughhouse 50 and you will feel why these wheels are known for being tough, practical and fun! 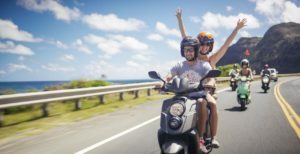 The XL offers generous under seat storage so that you can bring everything you need for a day full of adventure on Oahu.